Anders Petersen was born 1944 in Stockholm, Sweden.14 years old his family moved to Karlstad in Värmland, where he met the artists Karin Bodland and Lars Sjögren. In 1961 he stayed for some time in Hamburg in order to learn German and trying to write and paint. He didn’t take any pictures. Five years later he met Christer Strömholm and became a student at his School of Photography in Stockholm. Strömholm was not just his teacher but also a close friend. Their friendship influenced him for life. In 1967 he started photographing a bar called Café Lehmitz in Hamburg, close to Zeughausmarkt. He was photographing there for a period of almost three years and in 1970 he had his first soloexhibition over the bar in Café Lehmitz with 350 photographs nailed to the wall. In 1973 he published his first book “Gröna Lund”, about people in an amusementpark in Stockholm. 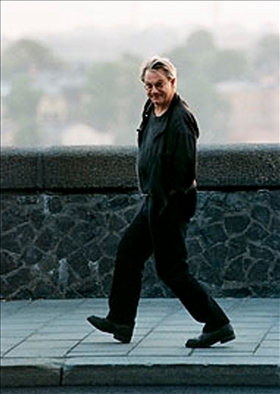 In 1974 he graduated from the Swedish Filmschool,Dramatiska Institutet, in Stockholm. In 1978 he published “Café Lehmitz ” in Germany. In 1984 the first book in a trilogy about locked instituations was published. The three books were about people in a prison, a nursing house, and a mental hospital. After photographing the mental hospital for three years he oriented himself towards a more free approach in a kind of diarylike photography. 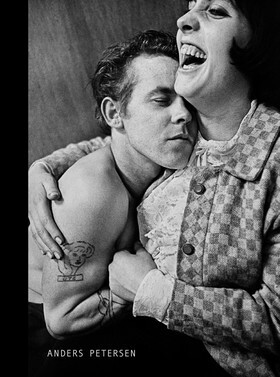 In 2003 Anders Petersen was elected the “Photographer of the Year” by the International Photofestival in Arles. In 2006 he was shortlisted as one of four for the “Deutsche Börse Photography Prize 2007”. third International Photofestival in Lianzhou, China. In 2008 he received the "Dr. Erich Salomon Award" by Deutsche Gesellschaft für Photographie, Germany. "The Arles Contemporary Book Award for 2009" went to JH Engström and Anders Petersen's collaborative book "From Back Home" by Max Ström. 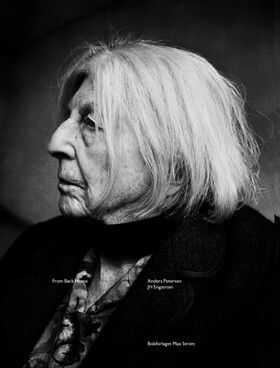 The book was also nominated to "The Best Photographic Book in Sweden, year 2009".